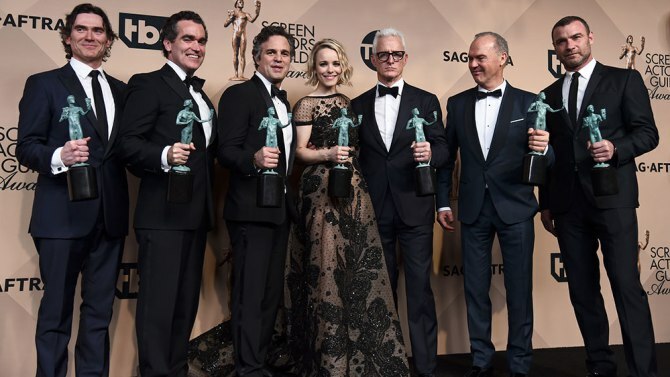 They just held the SAG awards and, of course, a lot of people started chirping about how "diverse" they were. Idris Elba was recognized twice, once for the BBC show "Luther," and once for a Netflix show "Beasts of No Nation," and proclaimed the diversity of TV and, of course, people chirped that Hollywood needs to take notice. Of course, most of those chirping have little idea as to what the cost is just to get a nomination. To get Elba his nomination, Netflix gave out streaming subscriptions to all the voting members of SAG, those who don't stream got hard copies. And how many of these subscriptions / hard copies did Netflix give away? 116,000 What does a streaming subscription to Netflix cost? About $10 a month, I think, which means the company spent about $1.16 million in order to get a nomination and eventually a win, and that doesn't include the dollars spent on all the "meet and greats." When people talk about diversity and being recognized, they need to take into account the high octane expenses involved in getting a nomination. If you read the article in Variety, you'll see that what Netflix did was above and beyond what other companies did to get their product nominated. What does this say about diversity when these kind of dollars are being spent? And if Netflix hadn't spent this kind of moolah, would Mr. Elba still have been recognized? In this kind of environment nominations are not free and diversity is not cheap. I do wish people would understand this. If you want to be recognized, you're going to have to fork over the cash, you're going to have to hob nob, and meet and great, and toot your own horn by buying full page ads in Variety. 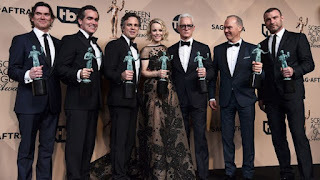 If you're an actor, one of the facts of life you need to learn very early on is that to win the awards you got to play the expensive game, translation being: diversity has it's price. Back when "Catch Me if You Can" came out, I had a friend whose boyfriend was in the Academy of Motion Pictures. Not a bit name, not even an actor as I recall. At any rate, he was sent free DVDs from movies that were being hyped for awards. I happened to be visiting when the DVD for "Catch Me" showed up, which meant I saw it two weeks before it was even in theaters. Any of us who think that anything -- ANYTHING -- in this culture is based on merit with no monetary component ... well, not so much. Maybe sometime, but not so much.